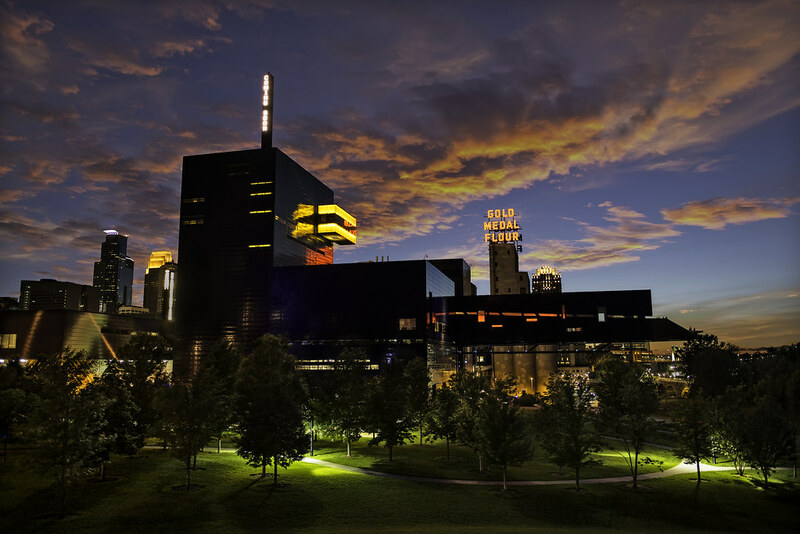 The photographer says: Looking at the Guthrie Theater in downtown Minneapolis, Minnesota. The Guthrie is one of my favorite local buildings with it's unique modern shape, cantilevered bridge/viewing deck sticking out toward the Mississippi River, and 9th floor observation room made of yellow colored glass. It's open to the public so you can enjoy this amazing photog friendly space without a ticket.